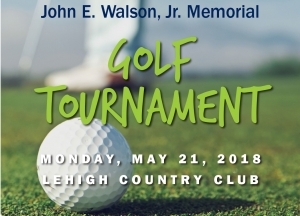 RFI was honored to participate in the John E. Walson, Jr. Memorial Golf Tournament to benefit Valley Youth House held on Monday May 21, 2018 at Lehigh Country Club. Our sponsorship went to helping the Valley Youth House in their mission to empower and strengthen the lives of children, youth and families through inclusive programming that builds resilience and fosters growth and independence. RFI was honored to present their donation to the Luzerne County Down Syndrome Network yesterday! We would like to thank everyone who donated and helped raise awareness for Down Syndrome and this wonderful charity! This fall, RFI started a charity campaign for the Luzerne County Down Syndrome Awareness Network. We are raising awareness in our company and also in our community for people with Down Syndrome by collecting donations for this local charity. In order to raise these donations while spreading awareness, we have RFI T-shirts printed up in the colors of Down Syndrome Awareness month, and are asking for a $10 donation in return for each shirt from our employees, families and friends. 100% of the money collected from this campaign will be donated to this local charity. In addition, RFI employees are encouraged to join the local Buddy Walk taking place on September 23rd, 2017. The Luzerne County Down Syndrome Network came together in 2005 with the goal of organizing Luzerne County’s first annual Buddy Walk. 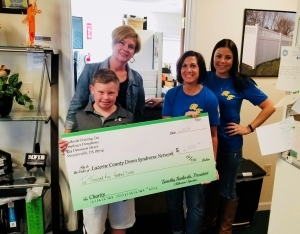 Through events such as the National Down Syndrome Society’s Buddy Walk, LCDSN’s mission is to advance acceptance and inclusion of people with Down Syndrome while raising funds for qualified local and national non-profit education, research and support programs. The LCDSN hopes to serve as an advocate for those individuals while promoting awareness throughout our communities. The network welcomes not only parents who have children with Down Syndrome, but also relatives, friends and any members of the community who want to be involved. During this year’s Holiday Party at Mohegan Sun located in Plains – PA, RFI Management held a Holiday Raffle to sponsor a local charity foundation, Little Eric’s Foundation. Items included: Sportsman Package, Tool Package, Keurig coffee maker set, 50″ Vizio 4K Smart TV, and $150 Cabela’s gift cards all donated on behalf of RFI. A total of $2,700.00 was raised from the raffle and donated to the Speicher family who accepted for Little Eric’s Foundation. The mission of Little Eric’s Foundation is to support research and raise awareness, to improve the quality of life of patients and their families, in the hope of finding a cure for Pediatric Brain & Childhood Cancers. 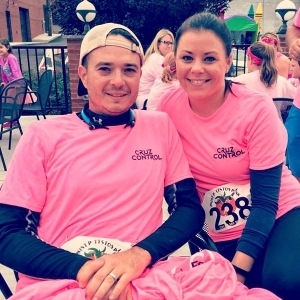 Rutkoski Fencing, Inc., sponsors Gentlemen’s Dash & racers in the 2016 Color Me Pink 5k Caped CURE-Sader Family Fun Walk and race held in Pittston, PA. Paint Pittston Pink is a week-long community event being held to raise money for breast cancer research. Their mission is to support a cure for all cancers through research and clinical trials. 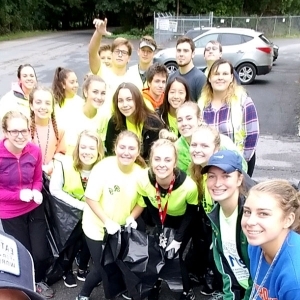 Rutkoski Fencing, Inc., and the Wyoming Area LEAP (environmental club) had a road cleanup in West Pittston on Packer Ave. RFI supplied contractor bags, water, and a few high visibility shirts to everyone involved. Each year, Great Chefs spring event is hosted by the Women’s Resource Center (WRC) to raise operating funds for the organization. Ardent supporters of WRC have played a vital role in successfully assisting victims and their children. Importantly, WRC not only helps provide a safety net and restore normalcy to abused adults and children subjected to violence, WRC saves lives. 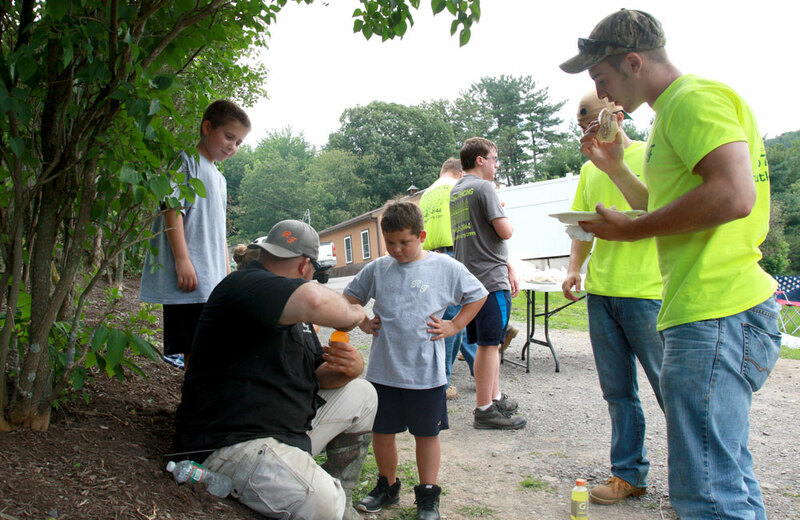 RFI employee’s and friends participated in a Community Day on July 18, 2015 to benefit Blue Chip Farms Animal Refuge in Dallas, PA. 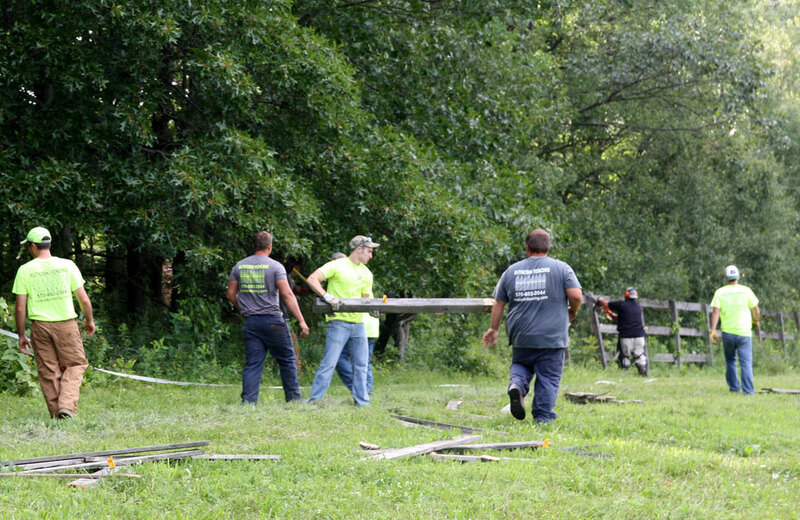 In an effort to provide a better environment for the animals at the refuge and to give back to our community, RFI donated over 600 feet of Split Rail fence to Blue Chip Animal Refuge. 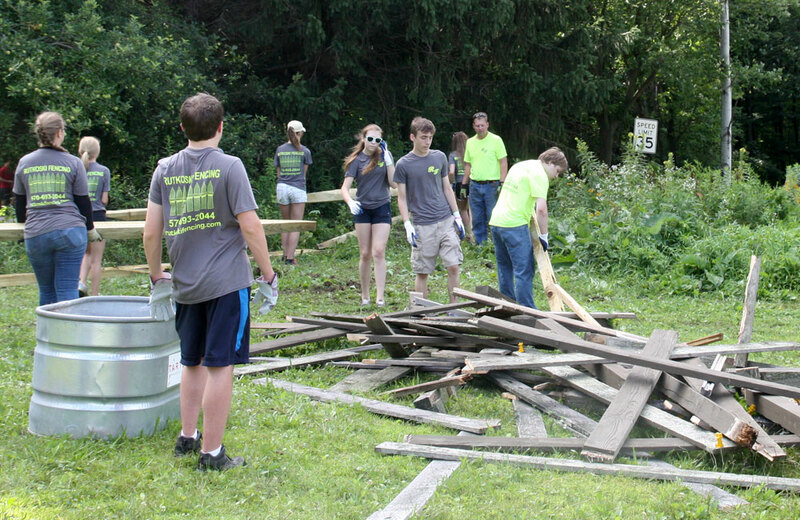 There were 18 RFI employees, 10 members of Wyoming Area Secondary Center Key Club and 8 other volunteers present to assist for this event. Lunch was provided by RFI from Dagwood’s Deli in Kingston, PA. 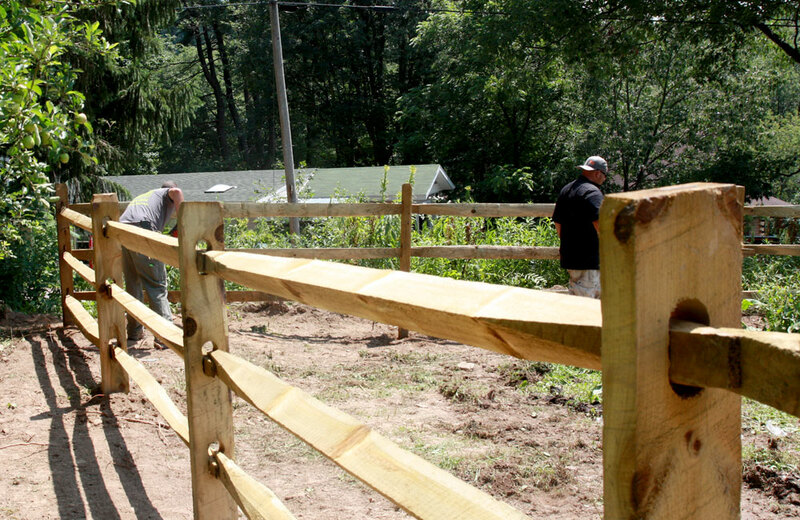 In the morning, the old fence was removed and by the afternoon the new fence was installed. 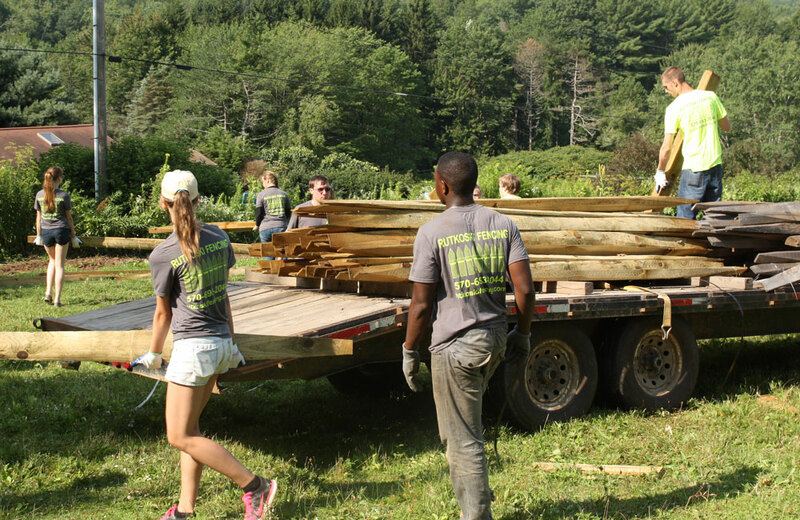 Thanks to everyone’s determination and teamwork – our goal was completed in one day! 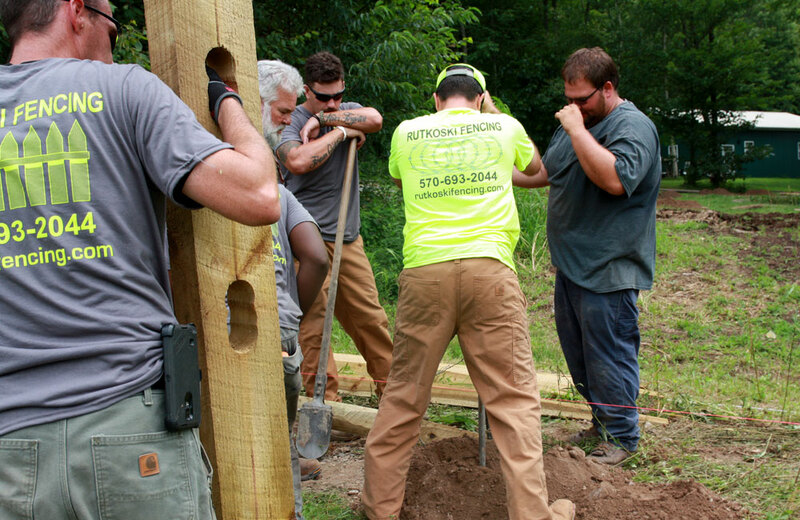 These types of projects could cost organizations thousands to do on their own, but because fence construction is what we do, we can take care of them quickly and easily. Volunteers enjoyed seeing all of the animals at the refuge, inclusive of horses, dogs, rabbits, cats, and more. 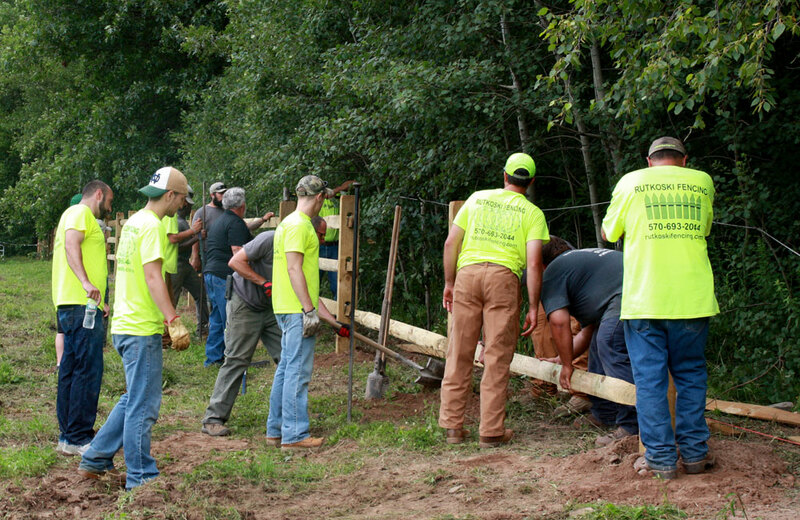 Our employees really enjoyed this event and we are proud to support our community. One RFI employee, even adopted a new friend. 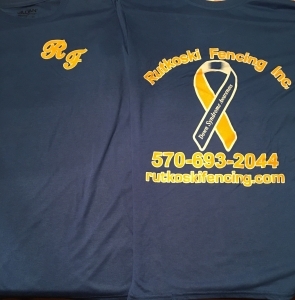 Rutkoski Fencing would like to extend our gratitude to everyone that participated! Rutkoski Fencing, Inc., participates as a Flag Sponsor for the Greater Wilkes-Barre Association for the Blind Annual Chip in for Sight Golf Tournament. 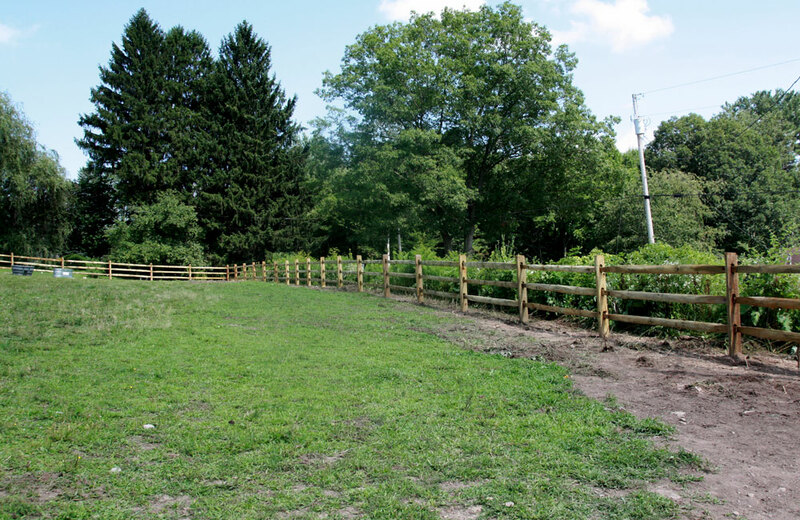 Whether you are a business owner or a homeowner, let’s discuss how we can install the right fence for you.